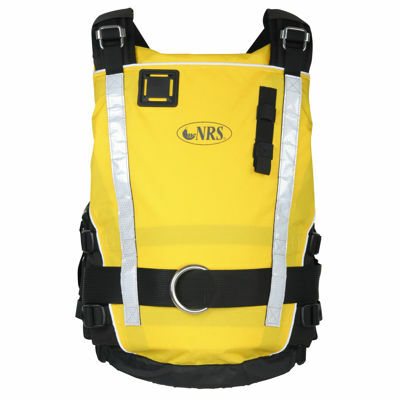 With 22 lbs of flotation, adjustability to fit chest sizes from 30 to 58 inches, and all the features you will ever need in a rescue vest the NRS Rapid Rescuer personal flotation device can handle any situation. Featuring box-stitched stress points and a 500-denier Cordura shell, the NRS Rapid Rescuer is tough enough to handle any situation. Two huge front pockets stretch to hold anything from a GPS to a VHF. Three lash tabs on the front are great for a knife, whistle or anything else you need to keep handy. A D-ring, strobe holder, and tether attachment round out the attachment points on the front with a safety light stick holder on the back and reflective tape everywhere.